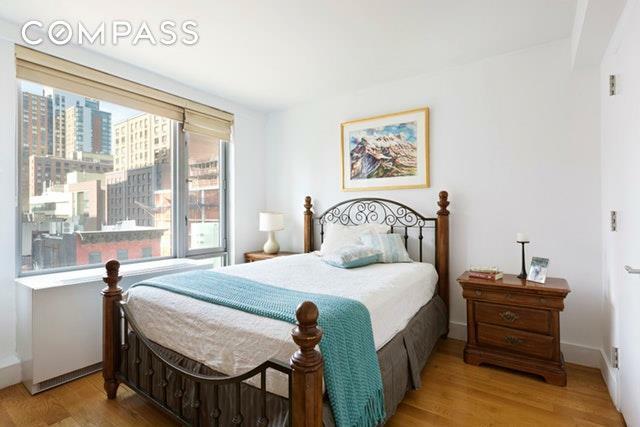 Sunny, mint condition 1 bedroom with Miele washer/dryer in full service condominium. 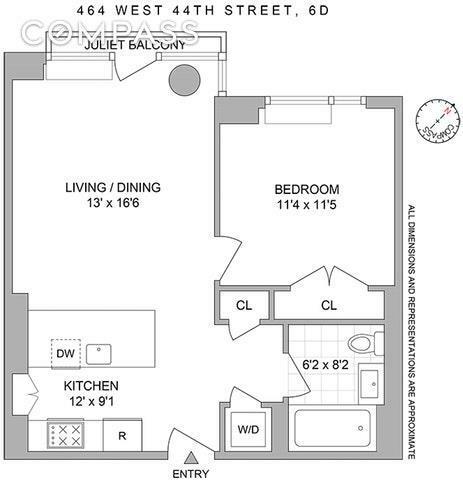 641 sq ft. Western exposure, floor-to-ceiling windows and Juliet balcony. State-of-the-art open kitchen with Sub-zero refrigerator, Miele appliances, custom dark oak cabinetry and stone-quartz countertops. Kohler fixtures and a deep soaking tub in bathroom. Custom closets and pantry. Brand new PTAC units for zoned heating and A/C. 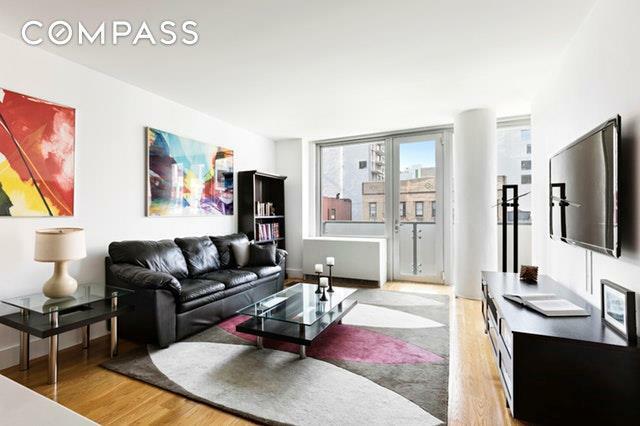 Private storage available for purchase with this apartment.Located on a beautiful tree lined block in the heart of Hells Kitchen/Midtown West, Chatham 44 is a full service condominium completed in 2008 and designed by famed architect Stephen B. Jacobs (Hotel Gansevoort). 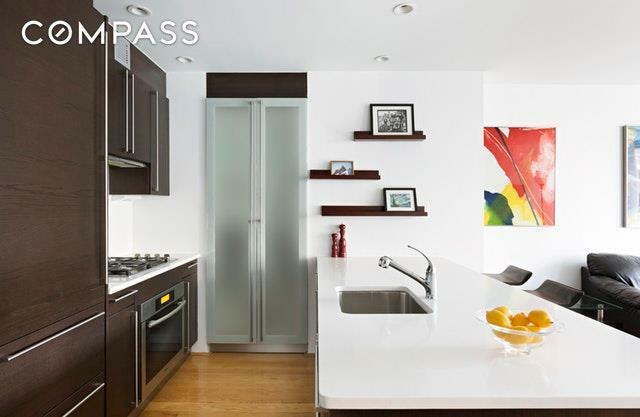 Building amenities include 24 hour doorman, fitness room, refrigerated grocery storage, private storage, bike storage, landscaped terrace, and common roof deck with open city views. Chatham 44 is centrally located and offers easy access to the very best in Manhattan including exciting new restaurants and theater, the wildly popular Gotham West Market, and the highly anticipated opening of Target.